Welcome to my archive of resources for solopreneurs, offered with the hope that they will find some inspiration and knowledge here. Simply click on the title and a PDF document will open for you. Social Strategy -Template for Creating a Social Media Strategy. Biz Mates Mind Map – Who should your business partners be? Starting A Business – A checklist with many Canadian resources. Business Profile Mind Map – A visual picture of all the aspects of being in business. Networking Like An Extrovert – A presentation I gave at the Yellowknife Business & Professional Women’s Trade Show. Trade Show Essentials – Trade Shows are a great way to raise awareness about your business in your community. This e-Book is in a workbook style that allows you to record your decisions as you make them. A must for trade show planning. Sustainability Mind Map – Defines the three pillars of sustainability. 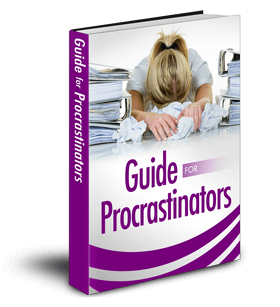 Procrastinator’s Guide – e-Book to help you understand why you procrastinate. Career Fulfillment Test – Some questions to help you decide for sure. Is it, or isn’t it? Fulfilling Career Mind Map – Defines my thinking about what it takes to be happy in a job. Life Balance Wheel – A tool to help discover what needs some work right now. Assign a score 0-10 and record it on the wheel. Kick Start Your Career – An article I wrote for the NWT Department of Education Career Newsletter. It’s a good reminder to step back for a wider angle view of your career. Coaching Tips for a Balanced Work/Life – My tips for creating a healthy work/lifestyle. 28 Principles of Attraction – From the creator of coaching Thomas Leonard’s book The Portable Coach – 28 Sure-fire Strategies for Business and Personal Success. A great personal development exercise is to take each principle and journal your thoughts, feelings and plans. Employee Satisfaction – Here’s a questionnaire to help you gain clarity about how you feel about your job.